Posted by Lisa / Smallest Leaf in Catholic customs, Churches, Photographs, Washington D.C.
As this week the Catholic church celebrates the Memorial of Our Lady of the Rosary and remembers the life of the beloved St. Francis of Assisi, I’d like to introduce you to a peaceful oasis in the midst of the nation’s capital that was built in St. Francis’ honor and includes the beautiful Rosary Portico. 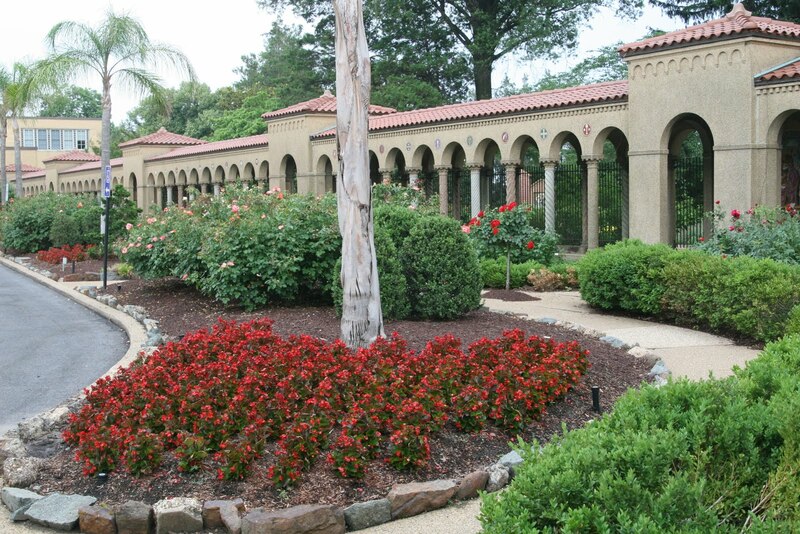 My family and I have enjoyed making several visits to the Franciscan Monastery of the Holy Land in Washington D.C. Its Rosary Portico is a picturesque covered walkway surrounding the glorious Memorial Church of the Holy Sepulchre. 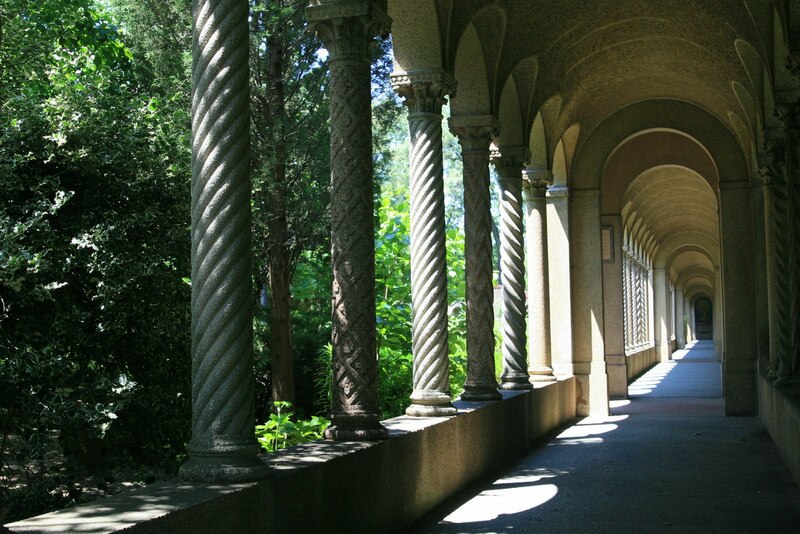 It was designed in the style of the cloister of St. John Lateran in Rome and St. Paul’s Outside the Walls. It is a beautiful walk, surrounded by charming gardens, and made even more interesting by a series of mosaics depicting the mysteries of the Rosary and a string of Hail Marys and Our Fathers in a multitude of languages which accompany you as you follow the path around the church. The generous number of artistic ceramic panels depicting the prayers of the Rosary (their website says nearly 200 – I didn’t count them!) includes many of the world’s languages – both modern and ancient. 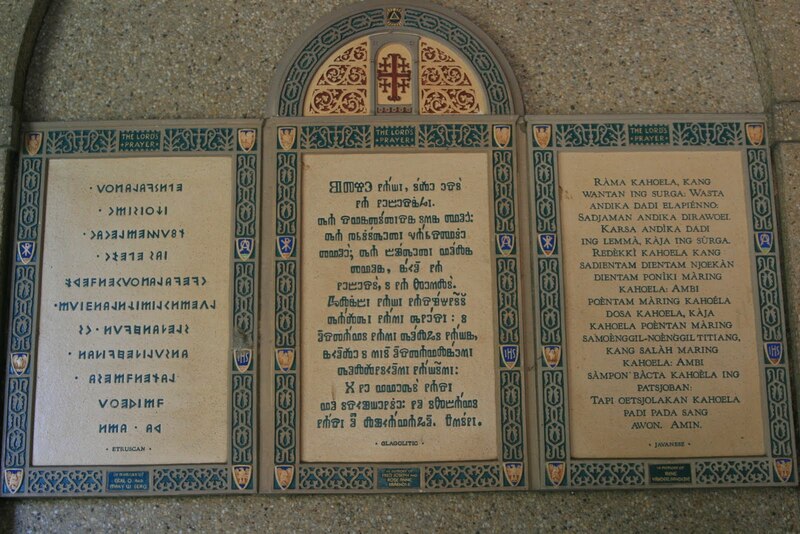 I was thrilled to find the languages that were common to my various ancestral families – even Glagolitic, the most ancient of the Slavic languages. If you’d like to browse through the Angelic Blessing (another name for the Hail Mary) in these many languages, and possibly search for the language of your ancestors, visit the monastery’s Ave Maria book online. You’ll find Anglo-Saxon to Zulu and everything in between. If you are in the Washington D.C. area, I encourage you to take some time to make a visit to this beautiful oasis in the middle of the capital, take a peaceful walk, and search for the prayers in the languages of your ancestors. Thanks for this, Lisa. I’ll be in Washington next week and won’t have much free time, but I was trying to think of something that didn’t fall into the “been there/done that/too crowded” category. Now I know! I’m glad to hear that you might have a chance to visit the Franciscan Monastery, Craig. 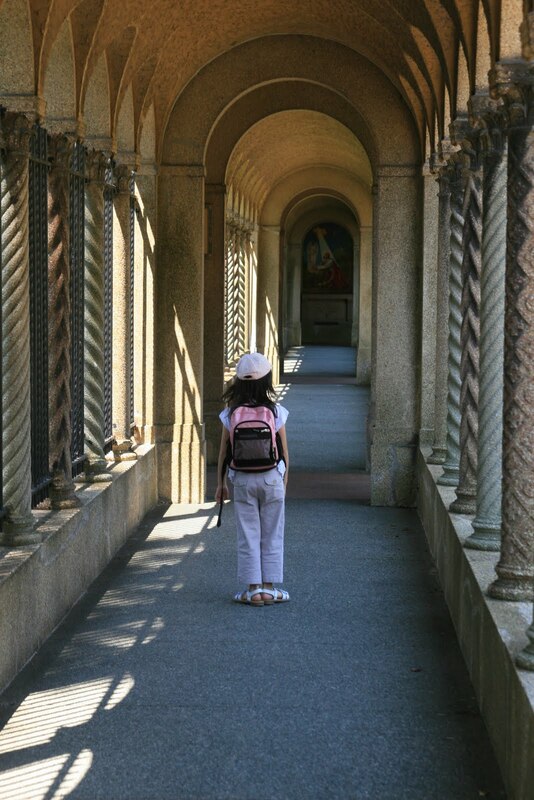 While you’re there I hope that along with walking through the gardens and Rosary Portico you’ll have a chance to take a guided tour of the church (including the underground replica of the catacombs). 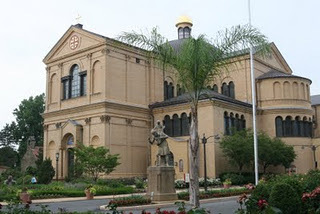 For online video and virtual tours of the monastery visit this link: http://www.myfranciscan.org/index.php?option=com_content&view=article&id=82&Itemid=58. You might also enjoy attending Mass there. The schedule is posted at http://www.myfranciscan.org/index.php?option=com_content&view=article&id=27&Itemid=30.